Grape Vine (Vitis vinifera): growing, planting, caring. Grow your own grapes ! Vitis vinifera, the common grape vine, is a species of Vitis, native to the Mediterranean region, central Europe, and southwestern Asia, There are currently between 5,000 and 10,000 varieties of Vitis vinifera grapes though only a few are of commercial significance for wine and table grape production. They will enjoy a sunny spot with a deep, well drained soil, along a wall in the sun, protected from cold winds. The vine is a vine plant with tendrils allowing them to cling to a support. Their leaves are generally cordate, ribbed, with 5 main lobes, variable according to the varieties. The flowers are small, greenish, in clusters. The fruits are berries of variable color, in clusters. Plant the vine during its rest, in autumn, in winter or early spring, in full sun, in deep, fertile, well-drained soil, along a wall in the sun, sheltered from cold winds. Dig a deep hole of 50-60 cm if your soil is very stony, and remove the stones to allow the passage of the roots. Re-fill the hole with loam and potting soil, packing regularly around the roots. Water copiously. Prune to keep only one branch with two buds. The vine does not need watering, except the first month after planting, if you have planted late. 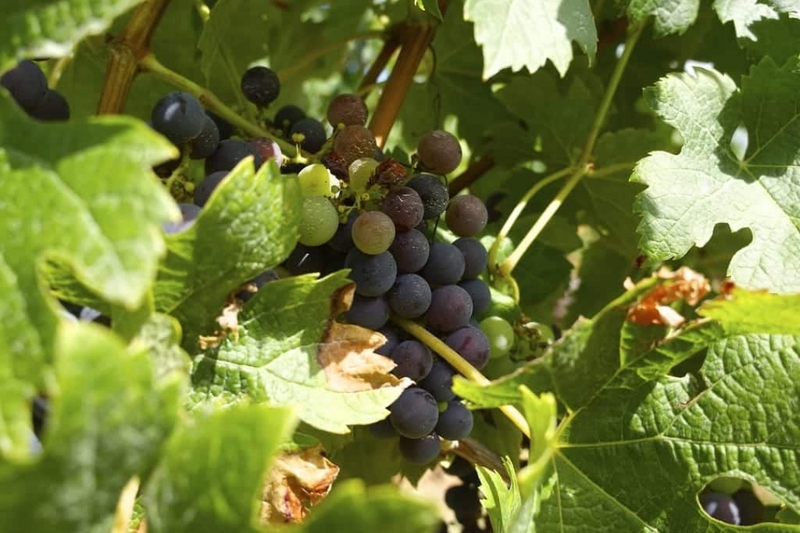 Harvesting is done in late summer, when your bunches are fully ripe, cutting the peduncle (stem that carries the cluster) with possibly part of the branch with a pruner. Vine requires several annual prunings, if you do not want to see tiny bunches of grapes hang several meters above you. At planting, keep only one branch, with two buds, and the following year you will keep only the most vigorous branch that you will tie up vertically. Then, each year in winter, you will have to prune the most vigorous lateral shoots at 2-3 buds depending on the variety, and eliminate the too weak or misplaced shoots and all the "greedy" which emerge from the base. In early summer, remove the clusters which are too small to favor the more vigorous. You should tie your vine support each time you prune, on one or more vertical supports along which your branches will hang. Fertilize in November by placing at the foot of your vine some compost or ripe manure.